Olympic is the greatest show on earth, but does it reach billions of people worldwide? Can an East Timor citizen watch it easily? Worldwide Olympic broadcast was always an issue. However, this year, something different has happened! IOC has selected YouTube to broadcast Olympic 2012 in 64 Asian and African countries. YouTube will broadcast the events via 10 different channels. 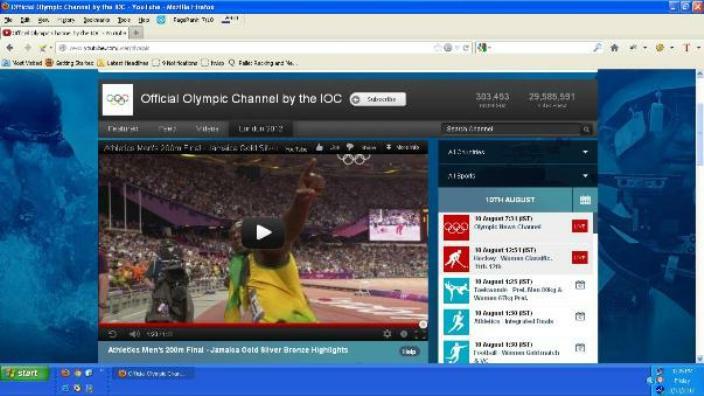 More importantly, web users in those countries will be able to view Olympics for FREE! YouTube is not charging any money for the coverage as they want to make it an immortal “branding moment”. The live streaming, only in English, begins at 9am and ends at 11pm (London time). Besides live streaming, people can also check the 24×7 Olympic News channel. YouTube has also said that free feeds are not available in USA. People living in USA can view Olympics online via nbcolympics.com that has made a pact with NBC to broadcast live events. The strategy may seem surprising as internet penetration in US is much higher than Asian and African countries, but Google has said that there are several large media companies in USA who can bid high amounts of money to broadcast the Olympics. Hence, US citizens will certainly be able to watch all the events.